Click here and fill in the application form. Joining the FQPM and renewal of your membership will assist Friends of the Queensland Police Museum Inc. to continue with its goals of the advancement of the Queensland Police Museum, the acquisition and restoration of police heritage objects and the enhancement and effective sharing of knowledge concerning the history of policing in Queensland. On joining the FQPM all members receive a FQPM membership badge. 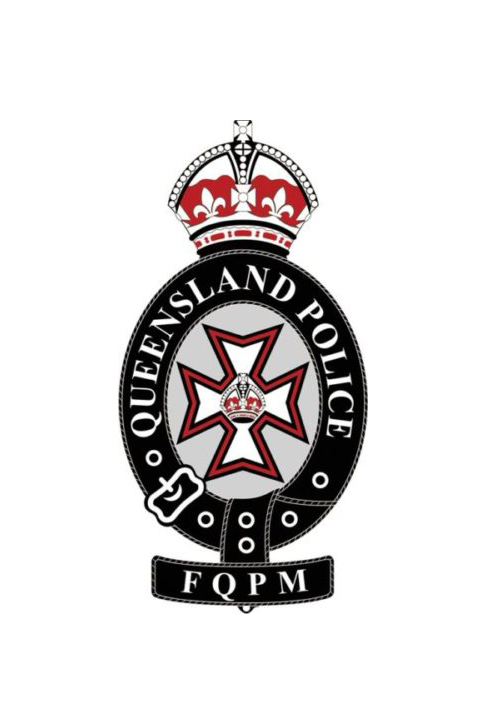 The FQPM badge and logo was modelled on the helmet and collar badges worn by the Queensland Police between 1906 and 1959. The logo was designed by FQPM member Andrew Johnstone. Ordinary Membership: Annual subscription: $15.00 per year. Junior Membership (under 18 years of age): $15.00 one out payment until they attain the age of 18 years. Renewal reminders will be sent my email or mail.